Pinching KK's Grinder review section here but maybe to also include machines you have used at work or have had significant time on even your ex machine if you like. Make it as fair as you can including niggles or bad points of the design remembering that no machine is perfect. When you get past the bling stage and into the settling in period of your Machine. Then its time for a honest Personal Owner/User Review and include a picture is always nice. 1] Make , Model & Year, boiler size, hx, sb, db etc. Small Compact, quiet, cute with its own distinctive personality that makes everyone that comes to the house take an interest. The GPP wasn't my first choice. I admired the look of the Bezzera Domus Galatea and thge grunto of the VMB Super. The GPP ticked all the other boxes and the clincher was the price. When I went to check out the machine, I was sold on the demo and the price was the clincher. Never had the feeling"Gee I wish i had bought the xxxx instead"
8] Closing notes/Anything else that's interesting: I always steam my milk hands-free. With a thermometer sticker on the milk jug, I just aim the wand in the middle for a second or two then push to the side to start the whirlpool and wait until it reaches required temp. Well textured milk just about every time. I had never owned a coffee machine before (a $99 Breville machine didn't count), so my first impression was shiny, solid and well built. The plastic drip tray looks a bit tacky, but other than that, works well. From when I first got the machine, running with a Sunbeam grinder, my experience was a bit iffy. One day I'd be able to pull perfect shots, the next day only gushers and the next day I'd choke the machine. It's very picky when it comes to grinders, however once I upgraded the grinder to a Super Jolly, the consistent, delicious shots just kept coming one after another. Soon after I got the machine it started leaking from the steam wand, and a new steam tap hasn't solved it. I'm assuming it's a) a poor steam tap design combined with b) a leaky three way valve. It is just a slow drip, so no risk of emptying the boilder. Definitely would recommend. At the time I got it, it was much cheaper than the Silvia, which made it hard for me to justify a silvia. 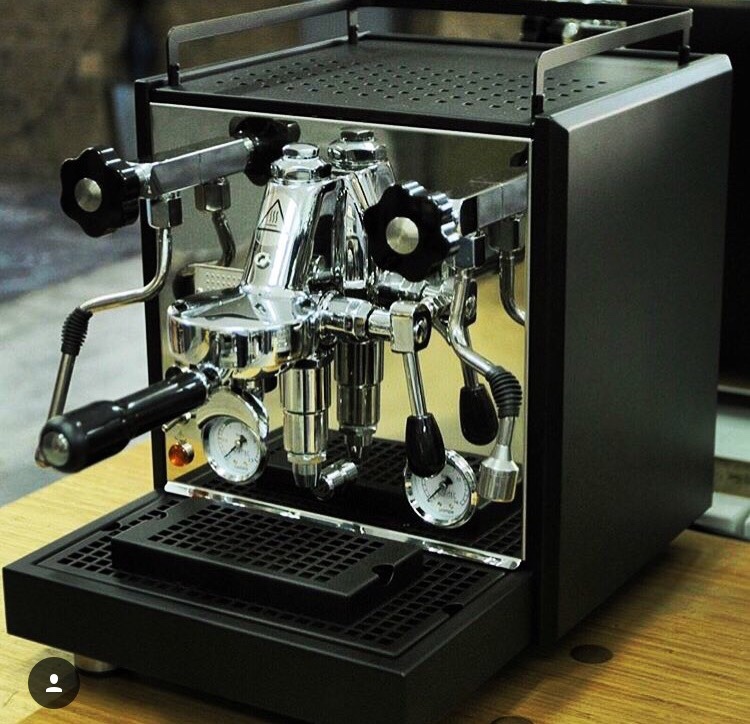 To me, the only reason not to get this over a Silvia is the steam wand issues. I am really happy with this machine. I have had it for around 9 months now, and myself and my partner get joy from it every day. Not really, no. It's a basic machine. Liked the appearance of this machine... pretty standard inside but i liked the big drip tray and cup tray handles. So far, have not had any issues whatsoever (2 years ownership). It's been great, really. Fast to heat up, stable enough to produce really nice shots from the e61 group and pretty fast recovery time. I actually bought this from Di Bella here in Brisbane. Previous machine was a horrible thermoblock machine - never again! Naked portafilter of course, and i also purchased a retro steam tip upgrade from Five Senses Coffee. This is a two hole tip which has slightly smaller holes than the two hole tip that comes with the isomac, and thus makes it better for steaming small amounts of milk. Since i only drink piccolos or small milk drinks, i've found this tip to be really good! Better microfoam, easier. I kept the old tip in case i ever sell the machine. I'd say the isomac is a great entry level HX e61 machine. If cared for, it should last many years. I don't see myself needing to upgrade any time soon. My grinder will be the next to be upgraded for sure. 2] First impressions - Extremely easy to setup and easy on the eye. No sharp corners and lots of innovative design features. 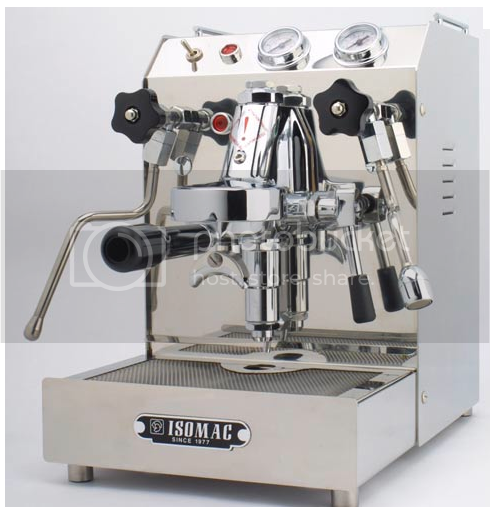 No spare portafilter to make naked, Breville don't stock spare PF's for this model full stop. They will however sell a naked one soon. This machine could not be easier to get up and running. No need for a "bench-test" from a retailer unless of course they are going to adjust the OPV/Pressure Gauge, so I am very glad I bought it from a Major and saved a few hundred off the RRP. It didn't take long to learn the machine but I still have the ability to tweak according to my tastes. I'd recommend it to someone wanting tweakability at a low cost. This machine has lived up to my expectations. It looks nice, is easy to use and will be on my bench for a while. Hopefully the OPV/Pressure Gauge issue will be sorted soon. It's nothing major, but not knowing if it's the gauge or the OPV does my head in. I suspect it's the OPV. I'll come back to this later on, if/when Breville respond to the service request I sent via their online feedback form. Oh, and I have noticed now that water drips from the hot water nozzle every now and then. I'll be posting ongoing updates on my blog if anyone is interested. Here's my review of the recently-upgraded-to Bezzera BZ07 PID - a move from a single boiler machine to a HX, prompted after borrowing a BZ99 for a few weeks, generously loaned from Bezzera. Bezzera BZ07 DE PID - 2011 Volumetric HX with a 1.5L boiler and electrically heated grouphead. Shiny! I specifically wanted this machine due to the footprint - it's an ideal size for a kitchen with limited bench space. It's also quieter than the BZ99 that 'd borrowed and requires less in the way of cooling flushes. Heaps and heaps of steam. So easy to use it's not funny. The two-hole steam tip makes texturing milk a breeze and the PID has allowed me to really nail down the general temp I like my espresso at. The big drip tray is a plus and there's plenty of room on the cup tray. The machine also runs hot enough to keep the cups at an ideal temp. Only one minor niggle, the water tank seems to have a bit of flex in the bottom which stops it from triggering the water sensor. I've jury-rigged some alfoil for the moment, but I'll need to sort it out at some point. Apart from that, zero problems so far. I first started getting into coffee when I lived in Melbourne, but settled for Nespresso when I moved to Sydney with the busy lifestyle there. On moving to QLD I started back on the path of real coffee due to the extreme expense of Nespresso pods and started first buying pre-ground coffee with a borrowed domestic cheapy Sunbeam and went up from there. First came the Breville Smart Grinder, then the BZ09 and now the BZ07. A hearty yes. Tell Chris at Bezzera I sent ya. Awesome machine that makes brewing good coffee a breeze. Quiet for its class of machine, heaps of steam and a small footprint with great styling. 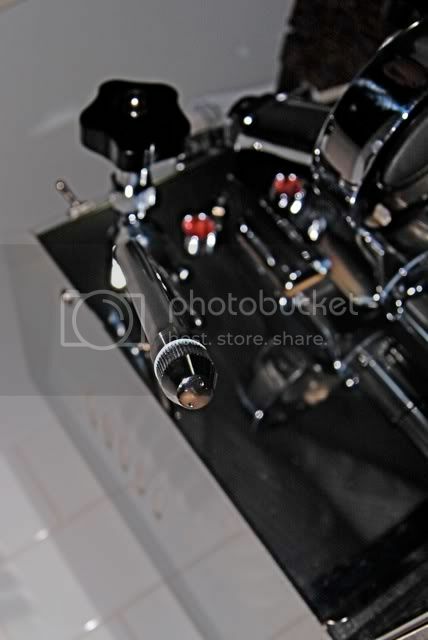 - This is a serious coffee machine with a commercial group and lots of metal. A big step up from my Krups 4050 but unlike the Krups no volumetrics or crema enhancer. - Fun to use... Seriously!! I have wanted one of these for like ever just because they are an icon. The opportunity arose for me to look and purchase one of these locally thanks to Kel and Lacheim on Chat pointing it out on EBay. I contacted the seller, checked out the machine and made a cash offer then and there. I'm glad I did... What a fun little machine and the coffee tastes great. 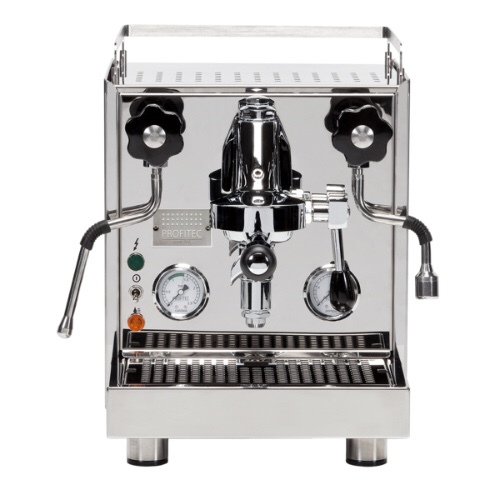 Read this if you are considering one of these: http://coffee.gurus.net/ He says it much better than I could and this coupled with all the you tube videos there is no reason why these machine can't produce a couple of nice coffees in a session. My machine was hardly used when I bought it because the nice chap couldn't get a good coffee out of it. With his pre-ground supermarket beans and lack of understanding of the machine it became a display and his Nespresso collection was born. Lucky me!! This machine will travel lightly and easily on the floor of the car with my Lux grinder and go to all day/night and weekend events. This will guarantee me a good coffee irrespective of the hour or the location. No mods are being considered currently. This is fun! Functional art with a couple of technical caveats when producing the liquid gold. Sunbeam EM7000 - Bloody Good for the price! I use Sunbeam EM0480 grinders - I used to have an EM0450 & an EM0480 but the 450 went with my EM6910 to a new home - now I have 3 x EM0480 grinders. 1 set for my dark roast beans, 1 for my 'experiments' and 1 set for the decaf for the missus. A 3L water tank means you can make a lot of coffee before a refill is needed and you can refill from the top - no need to remove the tank. A beep and flashing LED tell you when it is time to fill. I use reverse-osmosis water only, and would recommend to always use filtered water. There is a scale filter in the tank (which can be renewed by soaking it in salt water) but it's pretty basic - given the decline in water quality with all kinds of chemicals being added these days, a long life for the machine requires removing most of the contaminants. The steam on the EM7000 is a lot better than on the EM6910, although once I'd cleaned the steam path on my 2nd-hand EM6910 it was pretty good. I'd already gotten good at grinding, dosing and tamping with the previous machine so I wasn't expecting much of an issue with the EM7000. VST's are extremely well made and the consistency of holes means they produce a full flavour profile from any bean. They can be a bit more effort to get right but you can also grind finer than with the SB baskets. I also have a naked portafilter. (the PF or handle the basket goes in) The naked version has the bottom drilled out so when you look under it you can see the holes of the basket. This lets you watch your pour and helps work out what might be wrong with your grind/dose/tamp process. VERY recommended to improve your coffee. I had to learn to grind for the EM7000. The settings were different to what I was used to. I had some water squirts from the top of the basket - from experience this means over-dosing. I lowered the level of dosing and it went away. I find the best level is about 5mm below the rim of the basket. My progressive tamp process (google for it) means a more consistent pressure profile in the dry grinds and previous experience meant I didn't face a lot of the issues many newbies have to overcome, so it was mainly just getting the grind right for the new machine. Similar to the EM6910 I found the best water pressure level was at the top of the 'best' wedges on the dial - not sure who does the calibration of those gauges but it seems consistent across the range that pouring within the 'best' regions gives under-extracted coffee. Something a little strange... I have a microfibre cloth that sits on one of the grinders for the wand cleaning. Each morning as part of the set up I rinse it under the hot tap to clean & wet it again for purpose. With the EM6910 I'd have to give it a thorough wash every 3 - 4 days because it would start to smell. With my EM7000 is has been over a week and it still doesn't smell, yet the daily rinse is still the same. All I can work out is it's the difference between the milk in one compared to the other. I have noticed that the 7000 wand has less milk on it after steaming, and it's a thin layer, where the 6910 had quite a thick layer that seemed also to need more of a wipe to clean the tip. What I can't really work out is why there'd be a difference - both lots of milk get heated to the same temp using the same thermometer, so you'd think it would be the same residue. Maybe the tip in the 7000 doesn't get as hot for some reason even though the milk does? Is the 7000 a cool-touch wand? Ewwww... I use a new cloth every day. They're cheap as chips and don't take up much room in the wash. I do recall seeing something about cool touch - thought that was to do with having a rubber sleeve instead of the small tab thing on the 6910. As said, every morning I rinse the cloth when I do set up - in water hot enough to scald the hands - and at the slightest hint of smell it gets a full wash. Just haven't needed to do full wash for longer than normal - I noticed a slight whiff this morning which is what brought it to mind. Nice! What are the specs on this bad-boy? Very nice Kbean! Are they custom black panels or is it an optional extra? Keen to hear the specs on that beast also! Although the pro 800 would probably be my dream machine if money were no object! There's a trial right now to gauge demand for the black. They are available and people can choose which panels they want in black. Full stealth could look great I think. Cool. It says rotary pump... is it the smaller rotary than the standard 165W to get it to fit? My only gripe with the DB's is how hot they get on the inside. PCB's don't love heat! My very best HX espresso machine. I had to downsize for my new coffee station. 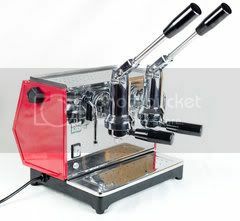 Securing an Espresso Machine- Help Please! 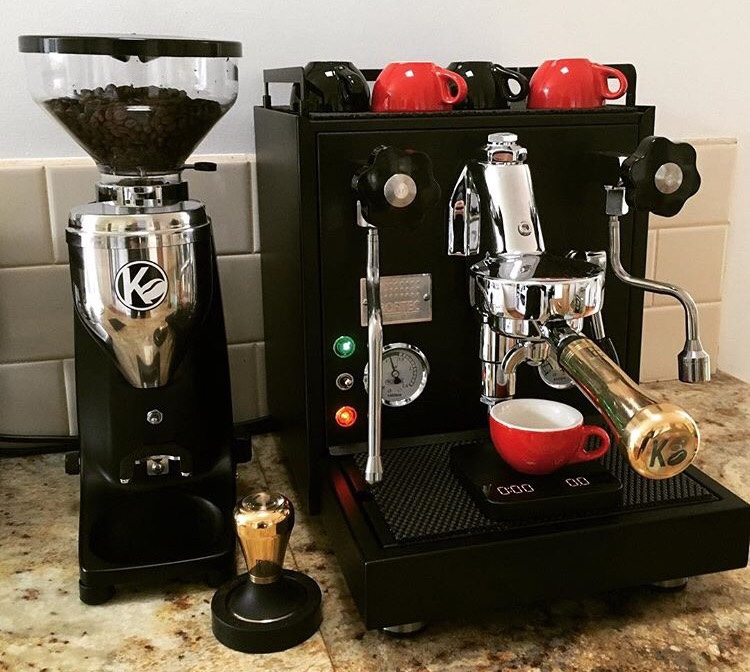 NEW EL ROCIO ESPRESSO MACHINE! If Ital-exit happens ala brexit what does it mean for espresso machine exports?